Got out before sunrise and struggled . Managed a couple throwbacks before landing this 27" and then called it a day. Got out early and it was very overcast. 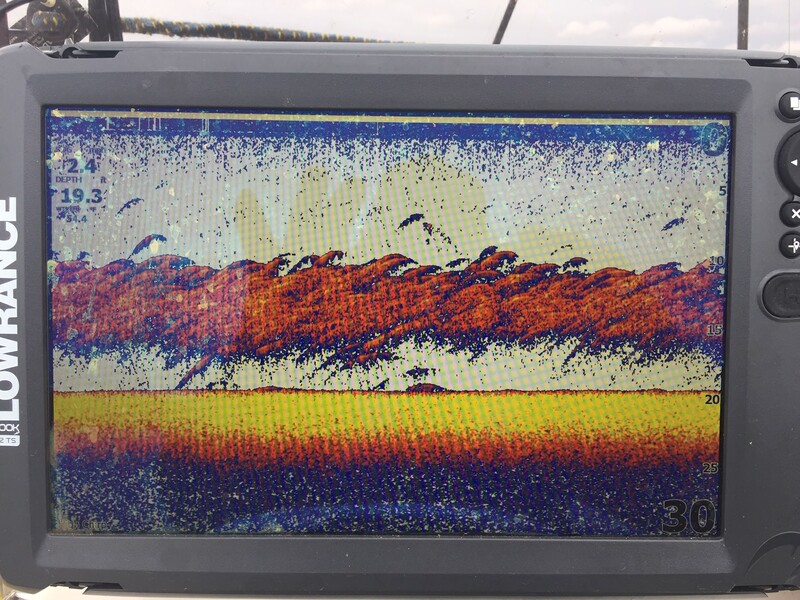 Found some working birds, but it was white perch chasing bait. Moved on after catching 6-7 pesky 10-11" white perch. 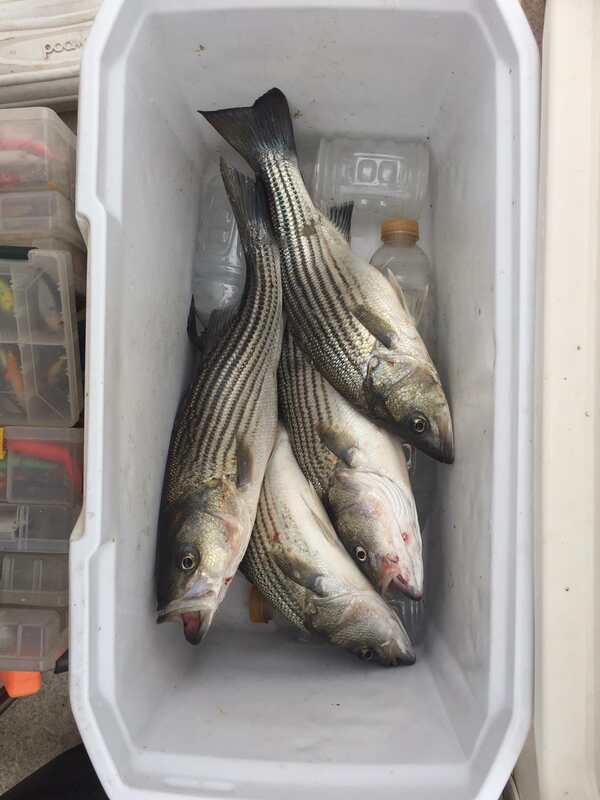 Would have kept them if I wasn't dead set on some stripers. Moved up one of the arms and my FF lights up with a solid school of stripers. 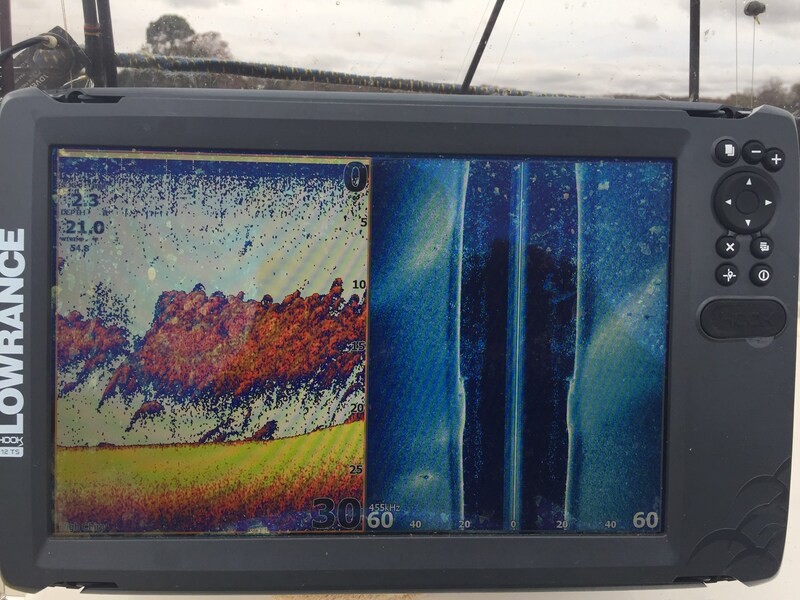 Put on the side scan an there must have been 3 acres of hundreds and hundreds fish a quarter mile long. Did not take long to put four 22-24" fat keepers in the boat........and not another soul on the water there. 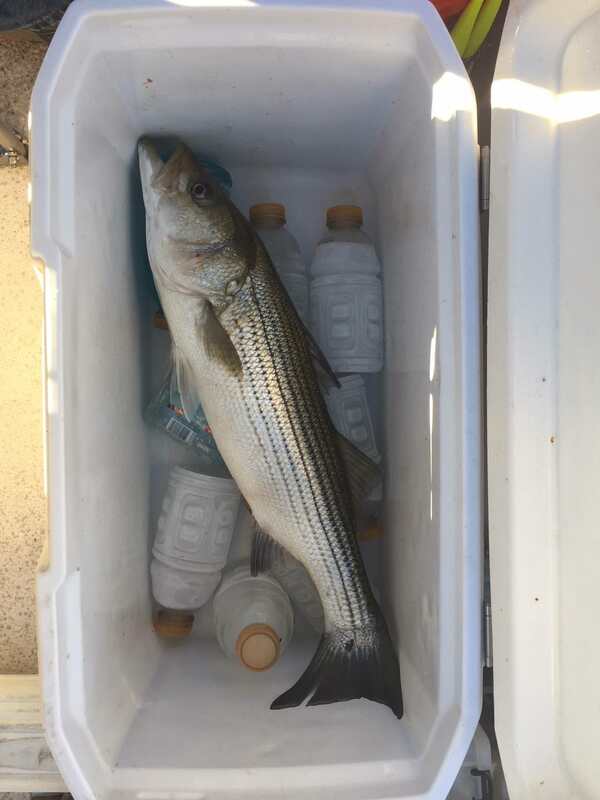 Would have filled the cooler if I had 2 other fishermen on the boat! Nice report Curly! Hope they're still schooled up that tight this coming weekend when I'm down there. Was not there this weekend, but fish were at splits and moving up both both arm last weekend. Lots of striper dudes at Stubbs bridge yesterday. Hey, I was one of those dudes! They were schooled up pretty tight around the bridge and were forcing bait up to the surface fairly common. Birds were giving it away. I pulled up maybe a dozen or more stripes but couldn't get anything legal to keep. Lots of 17s, 18s, and 19s for me but saw one guy pull up in a bass boat and get a solid mid 20 inch fish on his 3rd or so cast. My son and I were at Stubbs early as well. This is where he hooked a giant but it got off near the boat. After the birds gave away the activity it got busy there. We ended up just leaving and finding a school to ourselves. Lots of fun out there right now! Nice work! Will be out there Sunday chasing them. Thanks for the report.